Product prices and availability are accurate as of 2019-03-09 09:54:27 EST and are subject to change. Any price and availability information displayed on http://www.amazon.com/ at the time of purchase will apply to the purchase of this product. 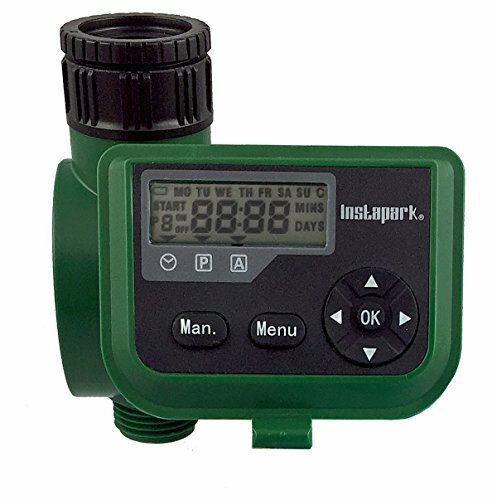 Powered by a single 9V alkaline batteries (NOT included), the Instapark PWT-06 is a digital programmable single zone faucet watering timer that attaches to any garden outdoor hose faucet with a standard ¾" (GHS) thread, suitable for irrigation applications for home use, in the yards, gardens, flowerbeds, greenhouses and etc. 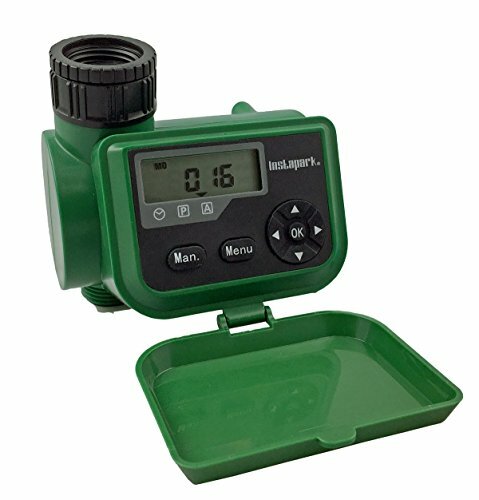 Featuring an LCD display with a friendly user interface, the PWT-06 offers 2 different ways to program: you can either program it by calendar week, Sunday through Saturday, or program it by selecting the number of interval days from 1 to 15 days. For each programmed watering day, you can set up as many as 8 watering cycles with duration range from 1 minute to 3 hours to meet different irrigation requirements for different plants. 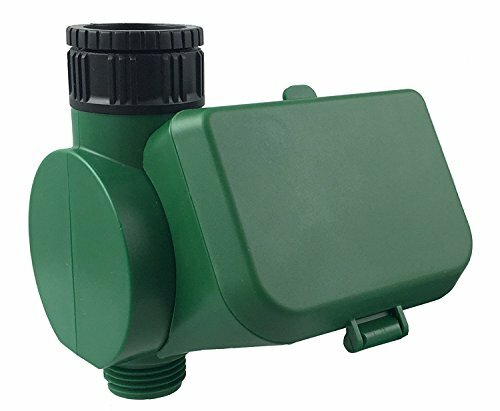 To give you fully flexible control as well as maximize water conservation without interrupting the timer's program, the PWT-06 can be easily and temporarily disabled for rainy days, and its manual control enables additional irrigation from 1 - 180 minutes if necessary. Made of strong, weather-resistant, premium quality ABS materials with a waterproof rating of IP66, the PWT-06 is packed with features to ensure many years of reliable, consistent and convenient service. 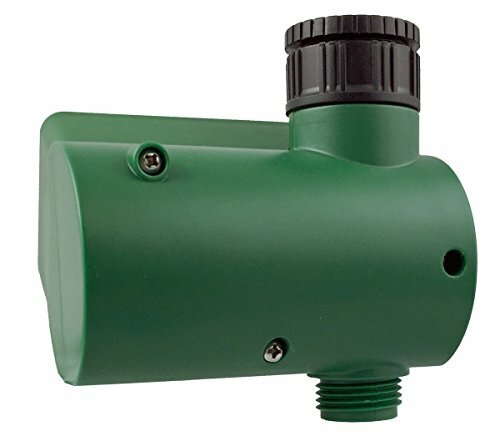 These features include IP66 rated water-proof design, dust cover for the LED display, battery low indication, and more. 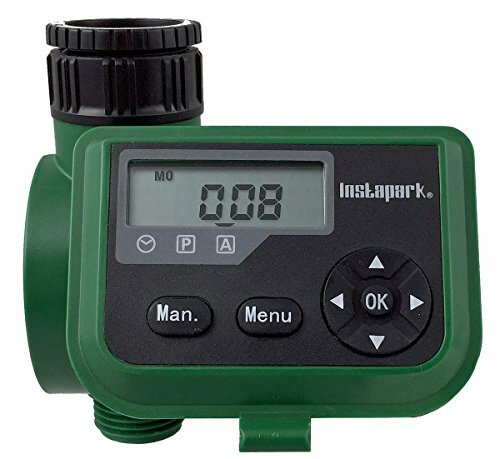 The Instapark PWT-06 is backed up by a standard 1-year manufacturer's warranty.